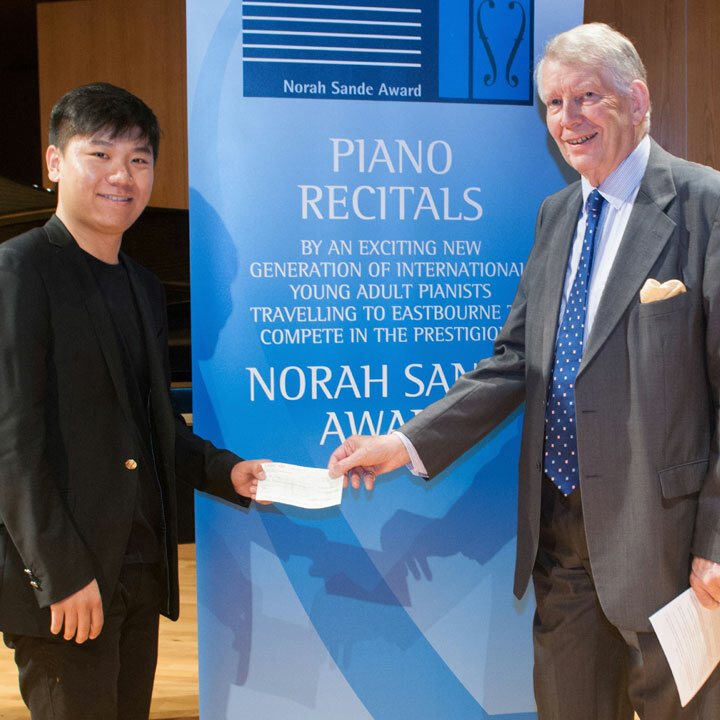 The Norah Sande Award, an international piano competition held annually in Eastbourne was won this month by Bo Lyu. Born in China in 1995, Bo has scooped up top music scholarships around the world since playing the piano from the age of seven. He currently studies at London’s Royal Academy of Music where he was awarded a full scholarship in 2014. Bo received a cheque for £2000 and the opportunity to perform in a recital later in the year. The final stages were held in the purpose-built concert hall at the Birley Centre, Eastbourne College. Fifteen semi-finalists performed a 20 minute programme on Saturday 7th July before a prestigious adjudication panel, Richard Deering, Graeme Humphrey and David Patrick (Chairman) – all keyboard exponents of international repute. Three were chosen to perform a full recital programme incorporating classical, romantic and contemporary pieces the following day. David Patrick said that the three had been chosen from an outstanding field of performers at the semi-finals. Before moving to England to study at the RAM, Bo Lyu graduated from the school affiliated to Shenyang Conservatory of Music and was invited to perform in the closing ceremony of Beijing International Music Festival and Franz Liszt 200th memorial Concert in Shanghai – enormous honours. 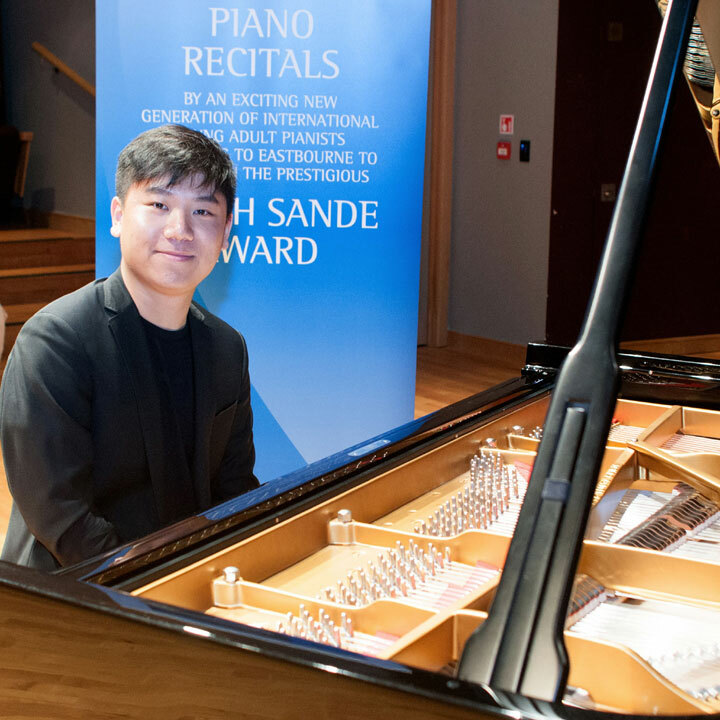 He also participated in master classes with many international leading pianists and was given the Yamaha Scholarship and the Liaoning Provincial Government Scholarship. Bo continues his MMus progarmme at the RAM in September and studies piano with Joanna MacGregor and chamber music with Andrew West. He has recently been invited to perform solo recitals at Bristol’s Colston Hall and was selected to perform with the Sainsbury Soloists, an elite string ensemble. Bo is supported by the Help Musicians UK charity. At the Final on 8th July, Bo played Stravinsky’s Petrushka Movements 1&2, Chopin’s Sonata No 3 1st movement and Beethoven’s 32 Variations Opus 80. Inga Liukaityte from Lithuania was named as runner up and received a cheque for £1000. Inga has won piano prizes in Italy, Czech Republic, Romania, Greece, France and Lithuania. She gave her London debut in 2012 playing in a solo recital for the Yamaha Lunchtime series and has since played at the Glasgow Royal Concert Hall and the Barbican Hall and regularly gives solo recitals in Southwark Cathedral. Inga holds a first class Bachelor degree in Piano Performance from the Royal Conservatoire of Scotland and a Masters with distinction in Piano Performance from the Guildhall School of Music and Drama where she was awarded scholarships and she is currently a "Live Music Now!” Artist. Inga performed Messiaen’s Regard des anges (XIV), Schubert’s Sonata in A Minor D784 and Chopin’s Fantasy in F Minor Opus 49. Third place and a cheque for £500 was given to Marta Puig Gomez who was born in Barcelona in 1992. She recently completed the Guildhall Artist Masters course, receiving a distinction. Marta has studied with a number of renowned musicians and performed as a soloist in prestigious venues throughout Spain. From September she is the Artist in Residence in the renowned Gaudi’s "Casa Mila” (La Pedrera) in Barcelona. Marta played Berio’s Wasserklavier, Bach’s Toccata in E minor and Franck’s Prelude, Choral et Fugue in her recital. Highly commended from the second round of recitals on the previous day were Aidan Chan and Kirsty Chapman. Previous winners of the Award have been performing in top concert halls around the world and achieving great accolades. This Spring Riyad Nicolas, 2013 winner, was selected to compete at the world-famous Leeds Piano Competition. Details of the 2019 Award and entry form are available on www.sande-award.co.uk. This Award has been enabled by a substantial bequest from the late Norah Sande, in memory of her Grandmother, Alice Mary Caffen. 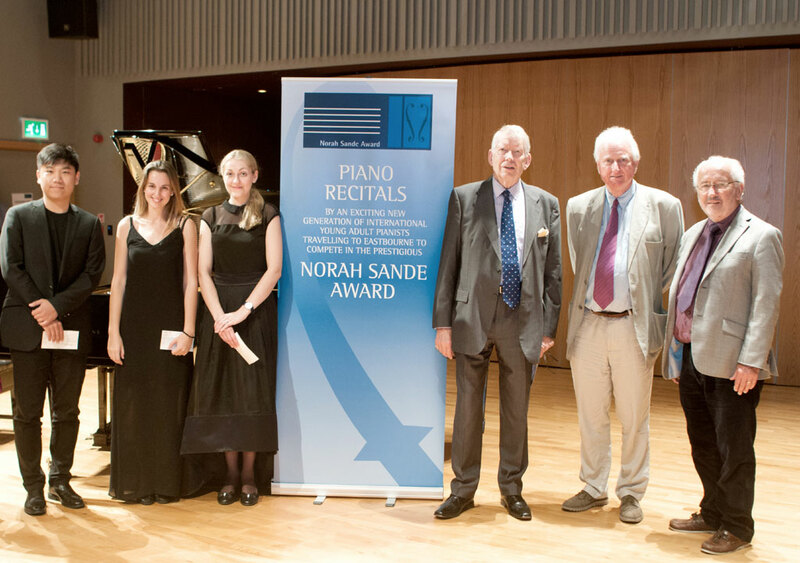 The Norah Sande Award is a charity administered by the Trustees of the Eastbourne Music and Arts Festival.